1. Cut all the ingredients (except chicken) very small and mix with the oil and lemon. I sometimes blend it all together to save time. Season, taste and adjust if necessary. 2. Cut the chicken into pieces and mix with the sauce. 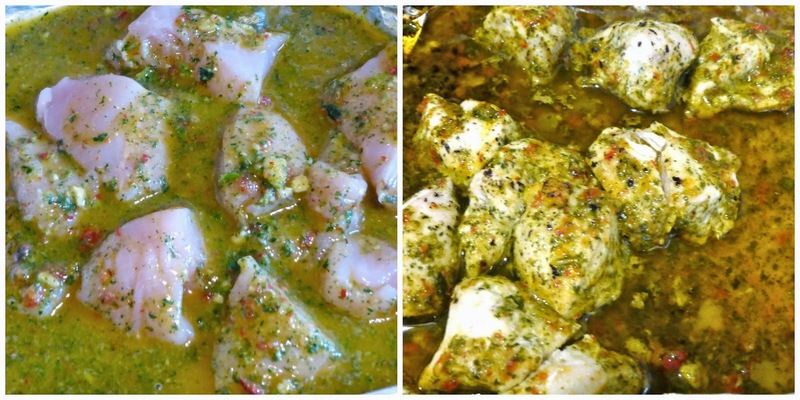 Marinade for 30 minutes to an hour on a baking tray. 3. Cook for 20-30 minutes, depending on the size of your chicken pieces. Serve with salad, couscous or quinoa. Very easy, fresh and delicious!